A new exhibition at Liverpool's Walker Art Gallery will explore the relationship between art and cinema, delving into the fascinating question of what inspires artists. As seen on screen:- art and cinema (31 May to 18 August 2019) features work by artists including:- Fiona Banner, Anthea Hamilton, Hardeep Pandhal and Sam Taylor Johnson. As seen on screen showcases Merseyside born artist Fiona Banner's The Desert; a 5 metre wide screenprint which retells the epic 1962 film Lawrence of Arabia. The large scale of the artwork brings to mind the experience of gazing up at a cinema screen. Well known film characters feature, as in Stuart Pearson Wright's Woman Surprised by a Werewolf, while iconic films are referenced in artworks such as A Nightmare on BAME Street by Hardeep Pandhal, and in Stefan Themerson's series of photographic stills from his 1932 film Europa. Beth Lewis, Project Curator at the Walker Art Gallery, said:- "Art and cinema have influenced 1 another in countless different ways and we're looking forward to making some of those connections visible within the exhibition. 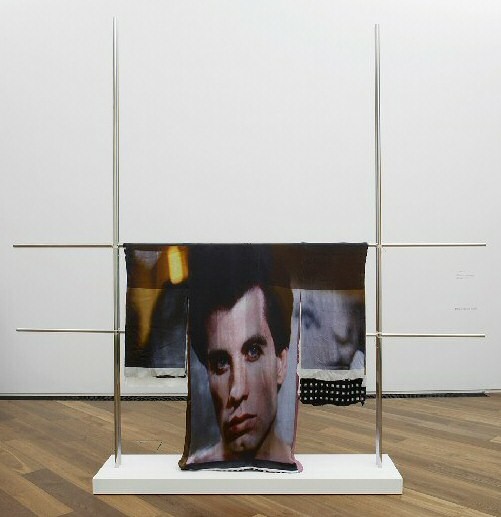 From a kimono featuring an image of John Travolta starring in Saturday Night Fever, to a collage of stills from Alfred Hitchcock's Psycho, visitors will recognise references to some of the many iconic films that continue to inspire leading and emerging artists today." Michelle Williams Gamaker's House of Women, a film in which actors audition for a re-make of the 1947 film Black Narcissus, also features. Both Banner and Williams Gamaker reimagine films to explore their impact. Other works, including:- Red Snow (from Screen Portfolio) by artist and filmmaker Sam Taylor Johnson, and Mario Rossi's The End/Untitled, series, offer new meanings to cinematic customs such as montage and end credits. As seen on screen is the eighth and final show to be held at the Walker as part of the Arts Council Collection's National Partners Programme exhibition series (2016 to 2019) and features more than 20 artworks from the Arts Council Collection. For more information go to:- LiverpoolMuseums.Org.UK/AsSeenOnScreen. If you do not already know, the Walker's Arts Council Collection National Partners exhibition programme has been enjoyed by almost ½ a million visitors between 2016 and 2019. The programme has enabled the Gallery to work with leading artists based in the North West, and to exhibit major works by artists such as Benedict Drew, Lubaina Himid and Mark Leckey. In 2017, the Walker developed and exhibited the ground breaking National Partners exhibition, Coming Out: Sexuality, Gender and Identity. The exhibition, which toured to Birmingham Museum and Art Gallery, was visited by more than 96,000 people across both galleries. The Gallery celebrated its busiest year on record in 2018/19, attracting more than 393,000 visitors. 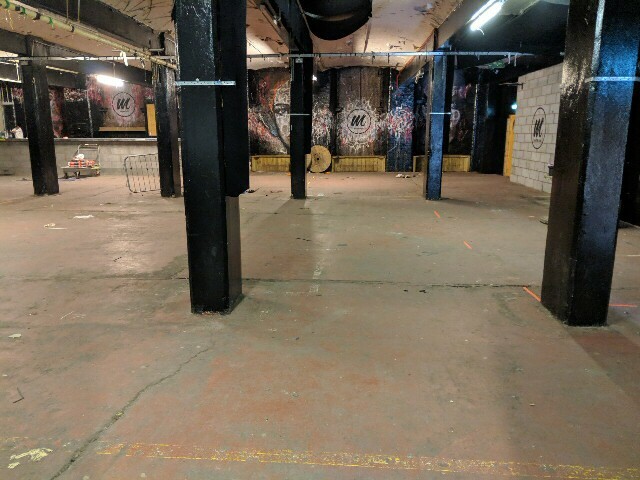 WORK began this weekend on transforming a 5200 square feet former nightclub into the newest space for the Creative Community in Manchester to Make, Collaborate, Work and Socialise. 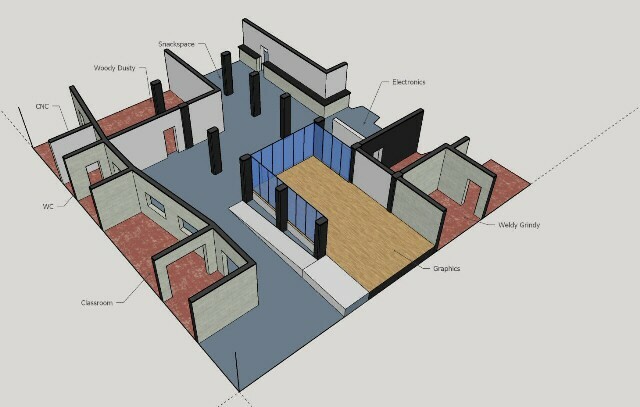 The new space will be over 3 times the size of the current space that Hackspace Manchester operates and will host a range of equipment and facilities including a Laser Cutter, several 3D printers, Metalworking and Woodworking Tools, Electronics equipment, and graphics and video editing facilities. Hackspace Manchester are currently based on the 1st floor of Wellington House, a historic textile mill in Ancoats, and will move to the ground floor of the Mill towards the end of May. Their new space, formerlyMantra Nightclub, will provide much needed additional space to grow the facilities and its membership. Greg Morris, Hackspace Manchester Board Chairperson said:- "We are excited to move into this much larger space that will provide a home to Manchester's Maker Community for the next 5 years and will allow our community to grow and evolve". Transformation of the new space is a BIG project which the organisation is managing and funding by itself with an appeal to:- local building merchants, plumbing, electrical, and decorating suppliers is being launched for any donation of materials or expertise to assist with the fit out. Should anyone be able to help please contact:- Hello@HacMan.Org.UK. Progress of the fit out can be found on the Hackspace Manchester Instagram site at:- Instagram.Com/HacManchester.